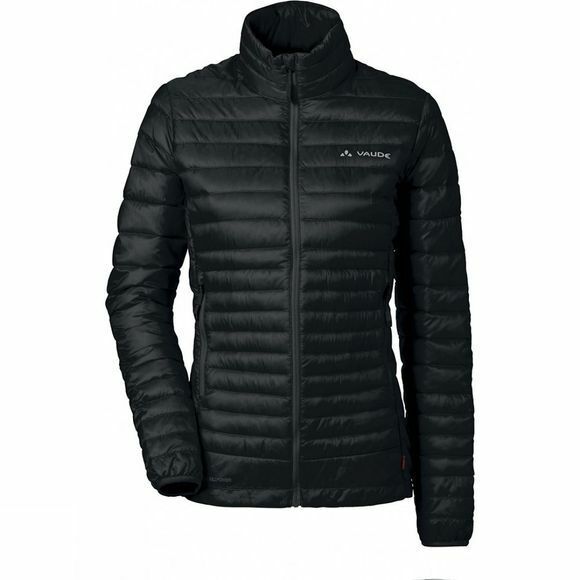 The Women's Kabru Light Jacket III from Vaude is a featherweight down jacket which packs down small, 95/05 thermal with super lightweight yet stable Pertex Quantum outer material. Stretchy fleece inserts under the arms for more freedom of movement. A humidity-repelling PrimaLoft Insulation Silver Eco is used to line the cuffs and side chambers. Ideal for cool peaks and shady belays. 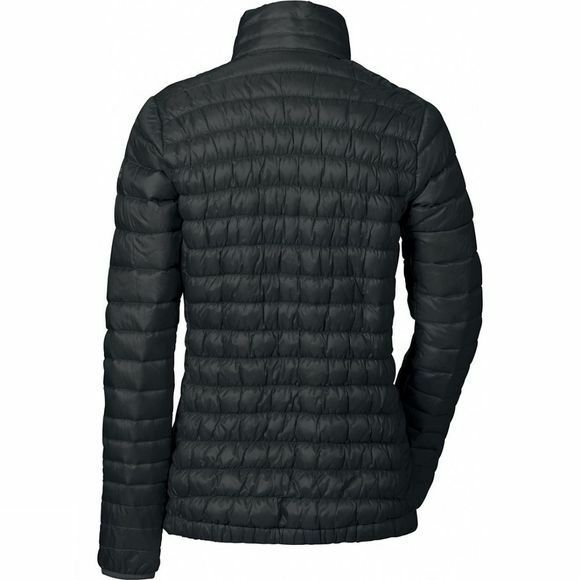 Can be worn as a warm midlayer or as a lightweight, comfortable outer layer and is easy to pack thanks to the very small pack size. The primary material features eco-friendly manufacturing in accordance with the strict bluesign system standard. The 800 fill power down is certified in accordance with the Responsible Down Standard (RDS). This product is made with Eco Finish, an eco-friendly, fluorocarbon-free, water-repellent finish (PFC-free).